You are here: Home » How to Run Firefox 4 and Firefox 3 At the Same Time? I haven’t had the need to do this yet but thanks to @StephenCronin asking this question. With Firefox 4 out yesterday, there are many extension developers who haven’t updated their add-ons yet. 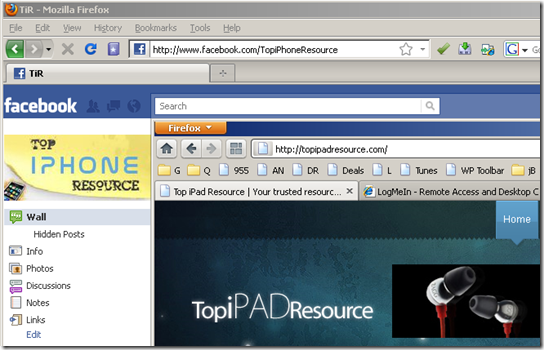 Or you may want to test your website on Firefox 3 while using Firefox 4 simultaneously. Whatever the reason maybe, here is how you can run Firefox 4 and Firefox 3 at the same time. Only requirement to do this you have to use 2 different profiles. You don’t want to mess with a stable profile anyways. This assumes you want to keep your current profile on Firefox 4. Just reverse it if you want it the other way. This should let you run Firefox 4 and Firefox 3 simultaneously. You can also create shortcuts with these flags in place to launch them easily. Interesting. With this tutorial, i can now use plugins from Firefox 3 as there are a lot of plugins that are not yet compatible with Firefox 4. This is a great post – thanks – I’d like to get my hands on some of this stuff! Those who want to get the best of both worlds can try and run Firefox 3 build, along with the Firefox 4 beta version simultaneously. If you try and run both the versions simultaneously it wont work because by default both of the versions will try and run on the same profile and resulting into the working of only one of the versions. But you can do a small modification to the profiles, you will be able to use both of the versions simultaneously.